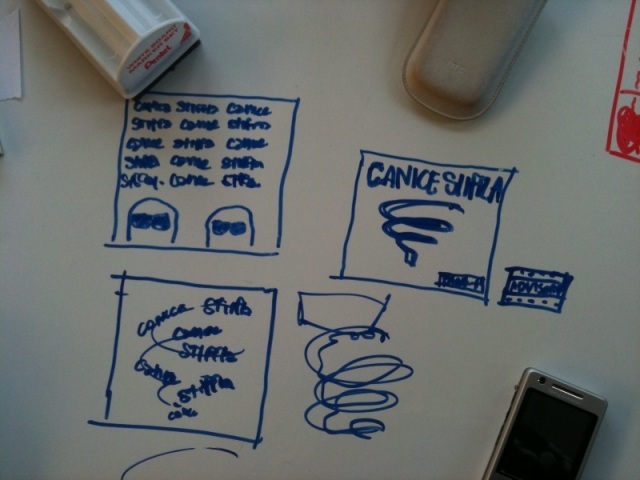 22-26 February: Doing a prototype of Canice & Stiffla (Steffen’s project). 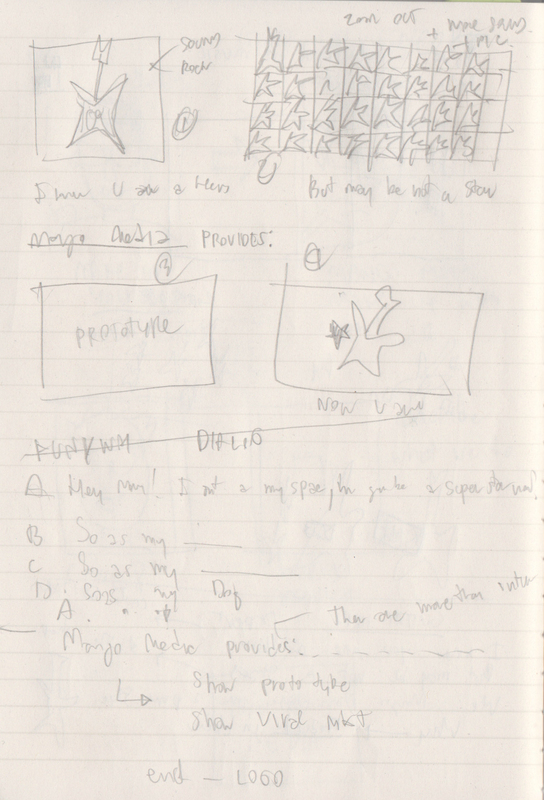 My job was to sketch an album cover and the song list (the tornado), worked with Astrid, our graphic designer. Moreover, I went with Steffen to find the new printing shop around Kingston because there was a problem with the shop that we have contacted before (Service mind problem). 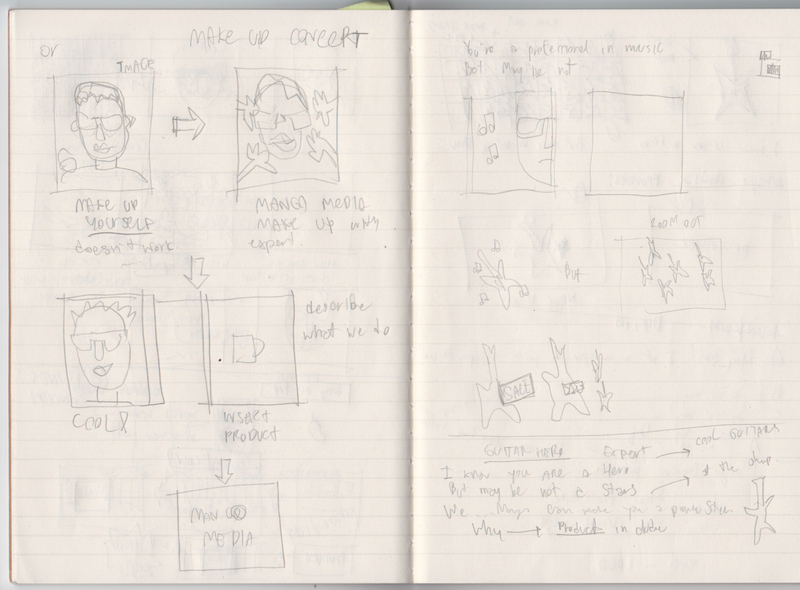 1-5 March: As we have to produce a 60 second vdo advert, I have sketched three storyboards for today’s meeting(3 March). 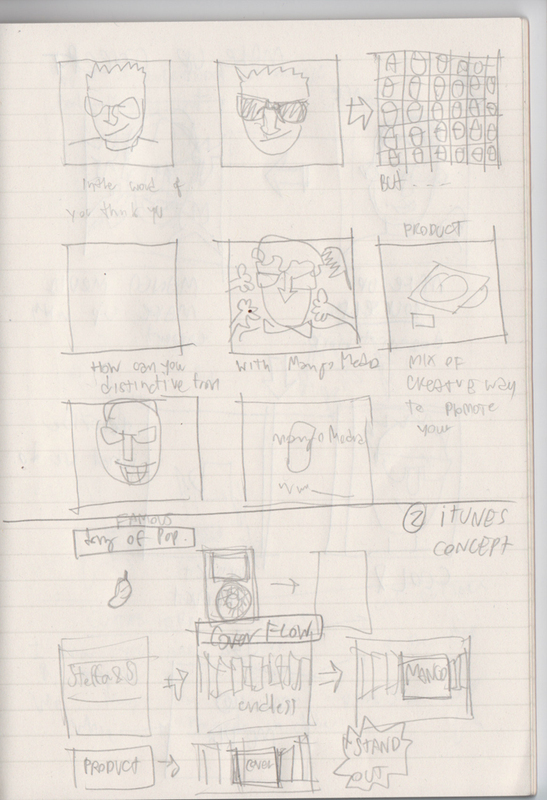 One of my sketch has developed from the idea if “Cover Flow” from the iTunes program. The idea is how can one’s cover album(Indie Artists) can stand out from millions of the artists who try to do the same thing.